The next installment in the Battlefield franchise will be hitting the streets this fall – quite literally. Battlefield Hardline will steer the narrative away from modern warfare, instead focusing on the war on crime and the battle between cops and criminals. The game was announced by Electronic Arts and Visceral Games earlier today via blog post. In it, Visceral Games GM Steve Papoutsis recounts a meeting with creative leaders from across the company several years ago in Barcelona. It was at that point he met Karl Magnus Troedsson, the GM of DICE, for the first time. The two immediately began talking about games, the different ways they could work together and how they could take Battlefield and action games in a new direction. It was then that the project that would become Battlefield Hardline was born. Papoutsis teased us a bit, saying he wished he could reveal more about the ways they are adding new twists and turns to the foundation of Battlefield multiplayer or more about how they’re bringing the strengths of Visceral to single player but it’ll all have to wait until June 9. If you haven’t checked your calendar recently, that date coincides with the start of E3 2014 in Los Angeles. 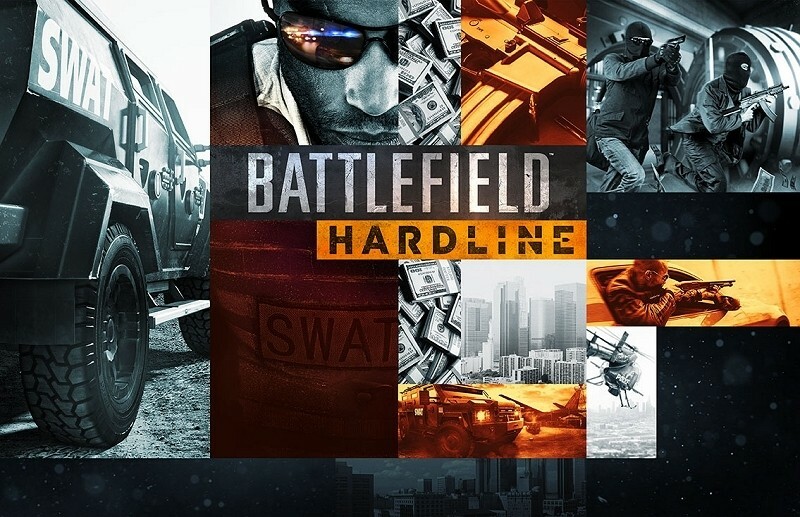 Hardline will mark the first time that Visceral has worked on a Battlefield game. Their most recent project was the Dead Space trilogy which concluded with last year’s Dead Space 3.